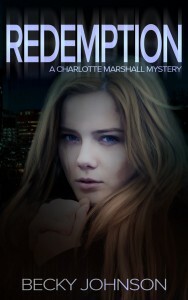 Charlotte Marshall’s life changed dramatically when she uncovered a serial killer and narrowly escaped alive. With Lawrence Pheares gone, relationships more validated and trusted than ever, and a new book just aching to be written, careless bliss should have been just around the corner. But when her car is bombed and her worst intuitions realized, a dangerous game of revenge begins to unravel, and for the elusive killer with dark secrets, this time its personal. 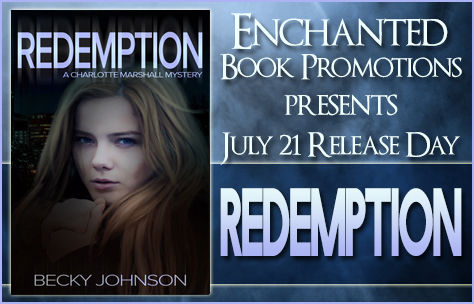 With all she loves threatened and time running out, Charlotte must outwit her deadliest adversary yet before evil can destroy all she holds dear. 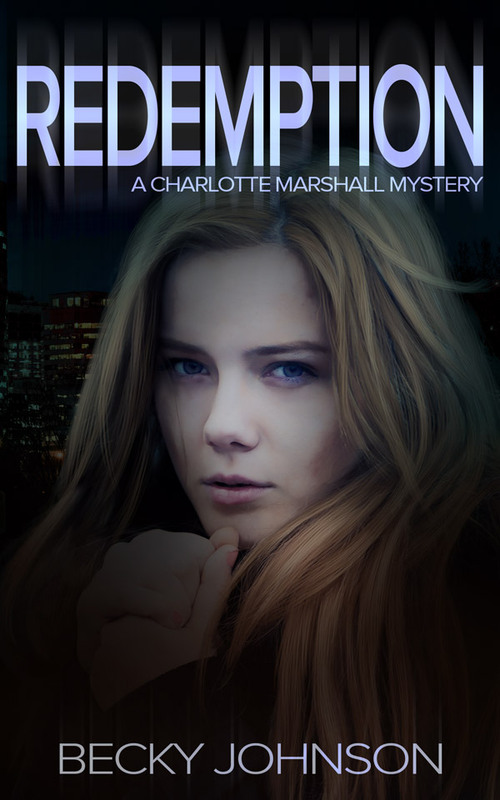 A fast-paced, suspenseful, cat-and-mouse story with shocking twists around ever page turn, Redemption keeps the heart pounding and intrigue building for both experienced Charlotte Marshall fans and those new to the series alike. Run is Becky Johnson’s first published novel, but not her first book. Books are Becky’s passion and always have been. She used to get in trouble in school for reading during class! Becky has Master’s degrees in social work and history, and for her day job she is a social worker. In her writing she tries to answer a question that is important to both social work and history: Why? She always wants to know why people do the things they do or feel the way they feel. When not reading or writing she enjoys yoga, running, cooking, and makes a pretty mean chili! THE BIRD OF PREY SAGA, BOOK 1 TO 4 (THE BOX SET) WILL BE ON SALE FOR $0.99 FROM FEB 3RD TO 15TH. 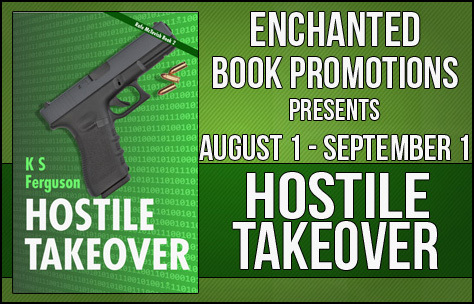 To celebrate the release for the book, the author is giving away 2 Kindle editions of the book. Follow the link below to participate. Alex and Ted make a most extraordinary duo.With one an ex-commando, and the other a computer hacker with impressive skills, it’s no wonder they find themselves in Europe on a missing to save Gwen Kane, the estranged daughter of a Forbes millionaire. Gwen barely escaped the clutches of a cult, and the cult seems dead set on getting her back. Gwen might be charming, but a chase all across Europe, Canada and eventually the USA seems a bit exaggerated – so why is Gwen that important to them? And will Alex and Ted find out why before they get killed? And more importantly…will they get paid? That last sentence is a typical example of the humor you’ll find in this book, sharp and fun, the kind of humor appropriate for dire circumstances like when you’re being chased by half a dozen cult members, or when you have to get a little “creative” to get rid of them. In that way, the book reads like an action thriller movie, with some hilarious one liners. 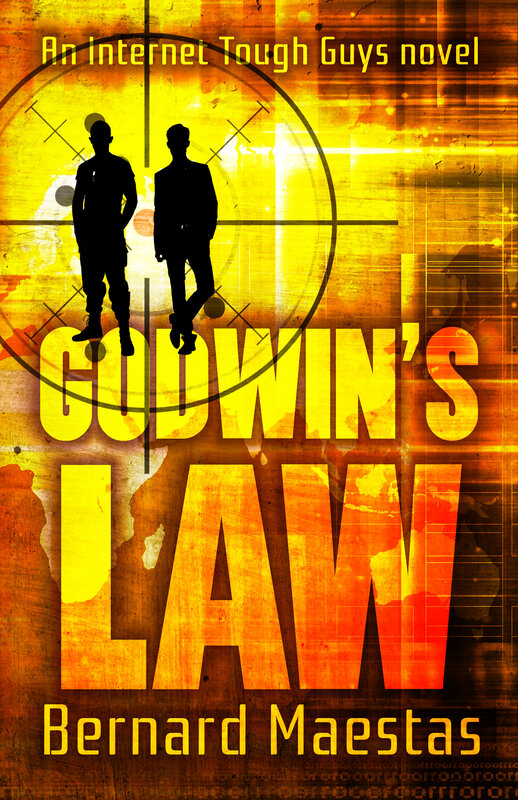 I enjoyed it, and if you enjoy a good thriller with some light-hearted humor, you’ll probably love it too. Character interview time today! 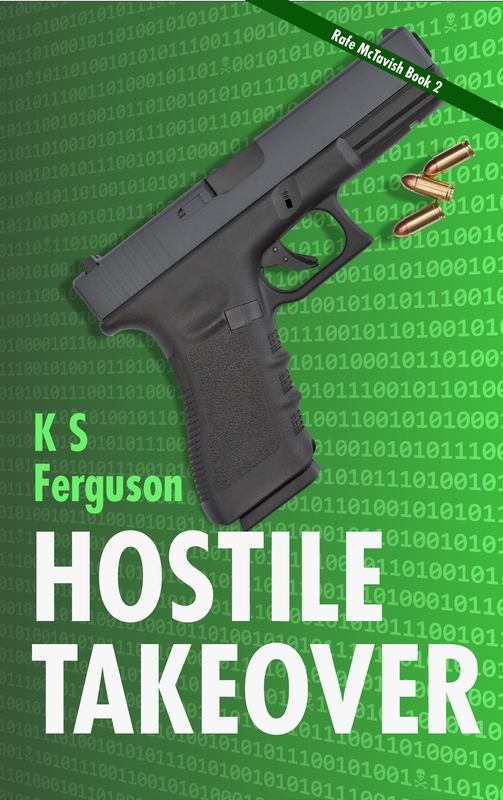 I’m interviewing the characters from mystery / scifi / thriller “Hostile Takeover”. Enjoy. Kamala Bhatia, we’ve been following recent events on Harvest, EcoMech’s colony world. While you’ve been seen in a number of news vids with Mr. McTavish, EcoMech’s new CEO, none of them agree about who you are. Can you clear up the confusion and tell us why you came to Harvest with him? Rafe (smiling): Call me Rafe. Kama (rolling eyes): That information is classified. Rafe: Kama doesn’t like to talk about herself. She runs a computer school in Mumbai, although I confess I haven’t been able to locate it. She’s the step-daughter of Oasis Corp chairman, Varun Sharma. She does… contract work for Oasis. As you know, Oasis is the largest computer software company in the galaxy. Kama: I came to Harvest because the moorhk here thinks he’s immortal. Someone had to watch his back. What challenges did you face during the disturbance? Kama: Dust, wind, heat, and imbecile corporate managers. Rafe: Kama’s not what you’d call a team player. She and I had a few communication issues. Kama: And then there were the sabotaged flyer, a blackmailer bent on murder, heavily armed soldiers led by a maniac commander with a vendetta against McTavish, and his father. Rafe: My father and I have a difficult relationship. Kama (muttering): That’s an understatement! Kama, what do you do when you aren’t watching his back? Kama (gaze darts to McTavish): My school keeps me busy. Rafe: She advocates for improved corporate working conditions. Occasionally she flies pigs. Kama, why don’t you tell them more about the pigs? Rafe: I can take that one. She wants EcoMech to help Oasis build the Sharma Network, an inter-galactic transportation system that will open new worlds to exploration and settlement. Kama: It will allow the poor and oppressed to escape Earth’s toxic environment—an environment created by corporate greed. The downtrodden will have the opportunity to throw off their corporate chains and make a fresh start in a better, healthier life. With McTavish at the helm of EcoMech, we can’t fail. Rafe (sighing): It will be expensive—very expensive. We’ve heard rumors that you two are engaged. Is that true? Kama (arms crossed): You’ve been talking to his loopy nephew, haven’t you? Rafe (grinning): It’s a little early for announcements, but I’d follow her anywhere. Rafe McTavish, security expert and new CEO at interplanetary mega-corp EcoMech, and his undercover ally Kama Bhatia, hacker and corporate spy, continue their pursuit of a ruthless blackmailer in the sequel to Calculated Risk. When Rafe’s arrival on EcoMech’s frontier colony world ruins their adversary’s plan for supremacy, events take a deadly turn. As tensions amongst the workers rise and unrest turns to violence, Rafe and Kama must race to unmask a killer before Rafe and his family fall victims to a murderous hostile takeover. K S Ferguson has published three novels, Calculated Risk, Hostile Takeover, and Touching Madness, and one critically-acclaimed novella, Puncher’s Chance (co-written with James Grayson,) which appeared in the June 2006 edition of Analog Science Fiction and Fact, America’s longest-running science fiction magazine. She enjoys writing suspense and murder mysteries in futuristic and fantasy settings, and also writes fiction in the guise of technical manuals for unfinished software—otherwise known as help documentation. 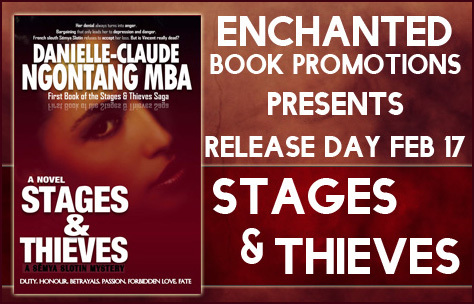 Win a set of print copies of the series. Follow the link below to participate. I’m stepping aside today and giving the reigns of my blog over to N.S. 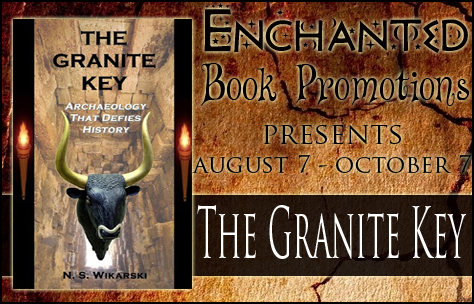 Wikarski, the author of archaeological thriller “The Granite Key”, who will talk about writing believable bad guys. Enjoy! Buffy is my hero in all things, save this. Straight up evil villains don’t make the most believable bad guys in a novel. I consider a villain to be the single most important character in mystery fiction. Without a good villain, what’s a hero left to do? It only stands to reason that the character burdened with carrying the entire plot forward should be endowed with a tad more emotional complexity than a cartoon. Some authors equate good villainy with monstrosity. If they can write a fiend so grotesque that mothers grab their children and clear the streets, they feel they’ve done their job. Freakish bad guys are only interesting to people who pay money to attend circus sideshows. To such an audience, the mere sight of someone biting off a live chicken’s head is an end in itself. Thriller novels featuring sociopathic serial killers have been the trend for at least the past two decades. From a motivational standpoint, serial killers make uninteresting villains. According to the latest psychological research, sociopaths process reality in a different way than the rest of us. Their brains don’t make an emotional connection to others so they have no brake pedal called empathy to stop their heinous actions. They do what they do because they’re incapable of doing otherwise. A serial killer who acts on compulsion is a wind-up toy, albeit a murderous one. His bloody rampages inspire shock in the reader but that sensation lasts about as long as the nausea after a roller coaster ride. If you want a villain to be memorable, his atrocities have to be fueled by something more than a blind urge. What I’m driving at here is the notion of choice. The old fashioned term would have been free will. Knowing the difference between right and wrong requires a conscience. The most realistic villains all have a conscience but they’ve managed to twist it into a tool of destruction. They commit epic crimes against humanity because they believe they’re doing the right thing. These men are determined to save the world no matter how many people they have to kill to do it. To me, a villain like that is far scarier than the guy in the hockey mask toting a butcher knife. A believable villain’s eyes glow with inner conviction. He can hide in plain sight. You’ll never see the danger…until it’s too late. In a nightmare, nineteen year old Cassie Forsythe sees her sister attacked by a man in a cowboy hat who demands something called “the key.” Her nightmare mutates into reality before the night is over. Cassie is called to identify her sister’s body–murdered exactly as her dream foretold. Cassie dismisses her vision as a fluke and fights to get on with her life. Disconnected and aimless now that her only family is gone, she drifts until the evening when she catches the man in the cowboy hat ransacking her sister’s apartment. He bolts with an odd-looking stone cylinder–the granite key. From that moment, Cassie’s normal world evaporates. She learns that her sister led a double life–retrieving artifacts for a secret organization called the Arkana. The Arkana’s leader, an elder named Faye, explains that her group performs a controversial kind of archaeology. They scour the globe for evidence of ancient pre-patriarchal civilizations in hopes of salvaging the lost history of the world. Their network of troves safeguards artifacts from highly sophisticated goddess-worshipping cultures on every continent. Cassie’s sister had the psychic ability to touch an artifact and relive its past. Cassie has now inherited this gift. Faye wants the girl to take over her sister’s role in the organization. Cassie doubts her powers but agrees. Now an insider, she is transported to the Arkana’s mysterious underground vault in the countryside outside Chicago where the group tackles the mystery of her sister’s murder. The Arkana learns that the man in the cowboy hat is a hired mercenary named Leroy Hunt and that he is working for a fundamentalist religious cult known as the Blessed Nephilim. He takes his orders directly from the cult’s domineering prophet–Abraham Metcalf. 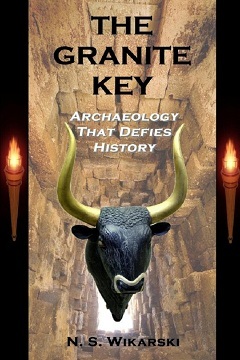 The granite key which Leroy stole is inscribed with hieroglyphics revealing the location of a mythological artifact reputed to have mystical powers–the Sage Stone. Although skeptical of its legendary capabilities, the Arkana is still afraid to allow the relic to fall into the cult’s hands. Abraham’s fanatical belief in the power of the Sage Stone could be the catalyst to start a war of religious genocide. Before she died, Cassie’s sister took photos of the strange markings on the granite key. The Arkana decodes the hieroglyphics which point to the ancient ruins of Minoan Crete as the hiding place of the Sage Stone. Faye hastily assembles a retrieval team including Cassie, her newly-appointed bodyguard Erik, and a British researcher named Griffin. The band of treasure hunters is mismatched and wildly dysfunctional from the start. Griffin has never gone on a field mission, Erik treats his inexperienced colleagues with contempt, and Cassie second-guesses her psychic hunches. She battles to prove herself to Erik at every turn. Their internal clashes rival the bigger crisis of what to do when they come face to face with their enemies. Even as they rake through megalithic tombs and Minoan palaces for clues, Abraham dispatches his son Daniel and hired gun Leroy Hunt to recover the Sage Stone. The Nephilim operatives won’t hesitate to kill anyone standing in their way. Will Cassie and her teammates avert global disaster or find themselves casualties of Abraham’s mania to exterminate the world of unbelievers? The Granite Key holds the answer. Nancy Wikarski is a fugitive from academia. 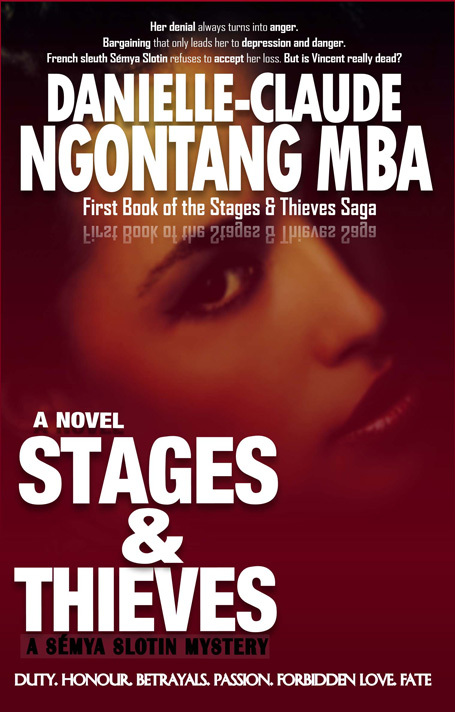 After earning her Ph.D. from the University of Chicago, she became a computer consultant and then turned to mystery and historical fiction writing. She is a member of Mystery Writers of America, the Society Of Midland Authors, and has served as vice president of Sisters In Crime – Twin Cities and on the programming board of the Chicago chapter. Her short stories have appeared in Futures Magazine and DIME Anthology, while her book reviews have been featured in Murder: Past Tense and Deadly Pleasures. She has written the Gilded Age Chicago History Mysteries series set in 1890s Chicago. Titles include The Fall Of White City (2002) and Shrouded In Thought (2005). The series has received People’s Choice Award nominations for Best First Novel and Best Historical as well as a Lovey Award for Best Traditional Amateur Sleuth. 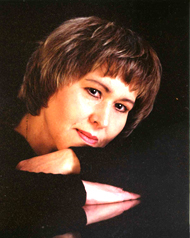 She is currently writing the seven book Arkana Archaeology Thriller Mystery series. Titles include The Granite Key (2011), The Mountain Mother Cipher (2011), and The Dragon’s Wing Enigma (2012). The fourth volume in the series, The Riddle Of The Diamond Dove, is scheduled for publication in December of 2013. Ms. Wikarski’s work on the Arkana books has prompted Kindle Nation to call her one of its favorite authors.